Seriously? OMG! WTF?Robert Downey Jr. Archives - Seriously? OMG! WTF? Some celebrities get so big for their britches that they expect people to open their car doors for them. Robert Downey Jr. is not one of them. Not only did he open his own door at the premiere of Avengers: Endgame yesterday, he also his opened wife’s one too. Susan Downey is lucky to have a man who treats her like the Queen that she is. Hollywood is just as lucky to have someone with his talent and heart be one of its most influential stars. 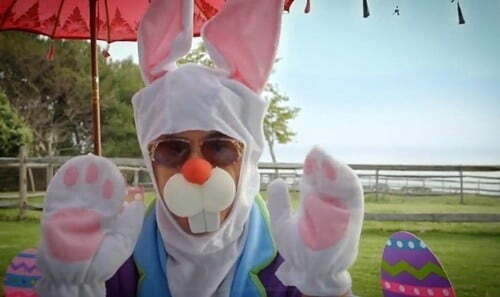 Today is Easter and Robert Downey Jr. changed up his Iron Man suit for a bunny costume. Just when you think he cannot get any cuter, he finds a way to do just that. His kids Avri, Exton and Indio are really lucky to have him as a dad.